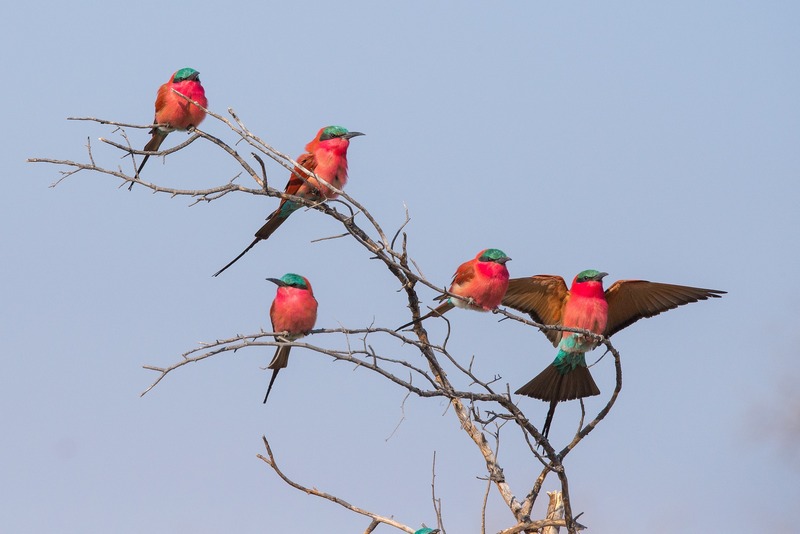 We have improved the routing of our Botswana Wildlife Breakaway Tour for 2018. The incredibly popular tour will continue to start and end in the world famous Victoria Falls, however, the first highlights will now be the Caprivi Strip, Okavango Delta, and Moremi Game Reserve, before travelling onto the beautifully scenic Nata region and then to the renowned national parks of Chobe and Hwange. This change will help reduce daily driving times and distances, allowing clients to have more time each day at their own leisure or to enjoy actvities. The change came about after analysing clients’ feedback and adjusting the tour accordingly. As an added bonus, there will be no 2018 rate increase, with the rate staying exactly the same as the 2017 season. 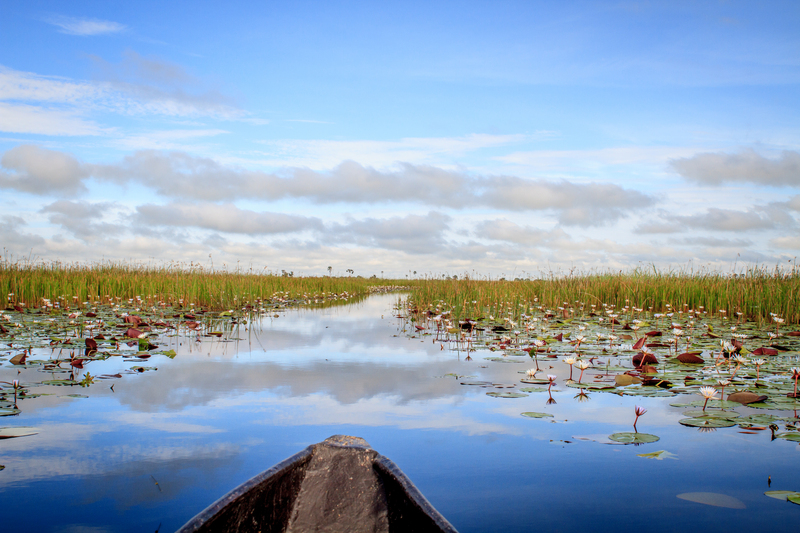 Botswana is known to many as the most beautiful country in Africa. The sunsets in the South are nothing short of spectacular and anyone who has taken a trip to the Okavango Delta can testify to the vast splendour of green planes interwoven with beautiful streams found in the North. Filled to the brim with wildlife of all kinds, and covering 582,000 km squared, of majority untouched lands, Botswana sets the perfect scene for a blissful vacation. However, where you stay can make or break your vacation, which is why we’ve put together a list of what our many years in the industry has shown to be the top 10 lodges of Botswana. While luxury played an important role in our decision making, we looked beyond this to the experience of each lodge and based theirs positions accordingly. Take the exciting opportunity to get to know the magnificent attractions and offerings of Botswana and Zimbabwe, intimately. The two countries are excellent partners for providing a full scope of wildlife activities and diverse landscapes in Southern Africa. From the mighty Victoria Falls and massive Kariba Dam in Zimbabwe, to the lush Okavango Delta and otherworldly Makgadikgadi Pans in Botswana, and so much more in between. The 15-day Intimate Botswana & Zimbabwe Encounter tour covers all the must-see highlights of the area and is not to be missed. Botswana is an unspoiled land of breathtaking beauty and varied attractions. Not only is the country known for its impressive wildlife, captivating deserts and vibrant green grasslands, it is also home to one of the oldest cultures in the world - the San People. Plus, this African country has a dedicated focus on sustainable tourism and a passion for conservation. Its prime location, nestled between South Africa, Namibia and Zimbabwe makes it incredibly convenient to travel to and through on the Southern African safari of your clients' dreams. It combines perfectly with its neighbours, or as a destination of its own. Jenman African Safaris has an extensive range of guided group tours that showcase the best that this splendid country has to offer. Click the link below to find out which is the perfect one for your client and if you're going to BTTE, meet up with Katja or Alessa to discuss with them in person. We continue to have great success with WETU, the cloud based travel tourism industry resource. One of its (many) useful features is the ability to easily create beautiful and in-depth online itineraries for agents that they can send to their clients. 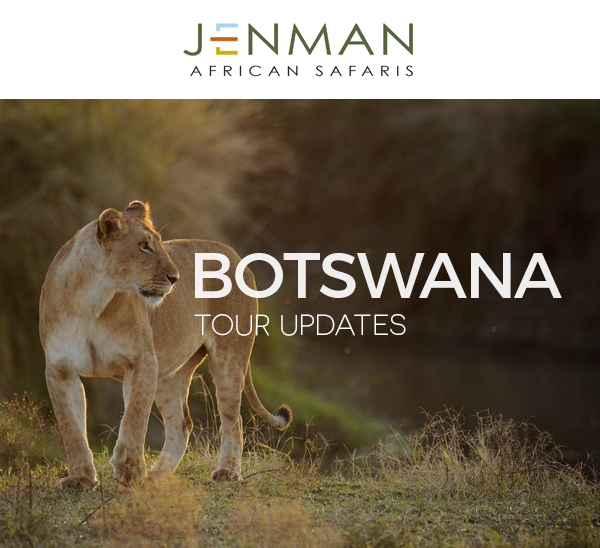 These itineraries come standard with a Jenman African Safaris logo but if agents so wish, they are able to receive itineraries with their own logo on them. Email us your logo and we’ll ensure your next tailor-made itinerary will include your branding. . This month we would like to introduce you to Nkossie, one of our Jenman guides who consistently gets high praise from our guests. He has a true passion for guiding and an even more incredible passion for birds. Nkossie's eye's light up if there are fellow bird enthusiasts on his tours, or as he likes to call them "fanatics". What guests appreciate about him is his extensive knowledge of the wildlife and his willingness to go the extra mile to make sure they are happy. We are really looking forward to going up to The Botswana Travel & Tourism Expo (BTTE) in December! BTTE is a wonderful event for connecting with travel industry partners and learning more about the beauty of Botswana. It is also an excellent opportunity for members of the industry to establish business partnerships with the Botswana tourism industry stakeholders and gain unique insights. We would love to use this opportunity to meet in person, catch up and chat about what a wonderful product Botswana is, as well as about how we can help you to sell it to your clients. If you are joining, arrange a meeting with Alessa or Katja either on the Monday the 5th or Tuesday the 6th of December. They will have a funky surprise for you that will see you through to the end of the travel show unharmed…. 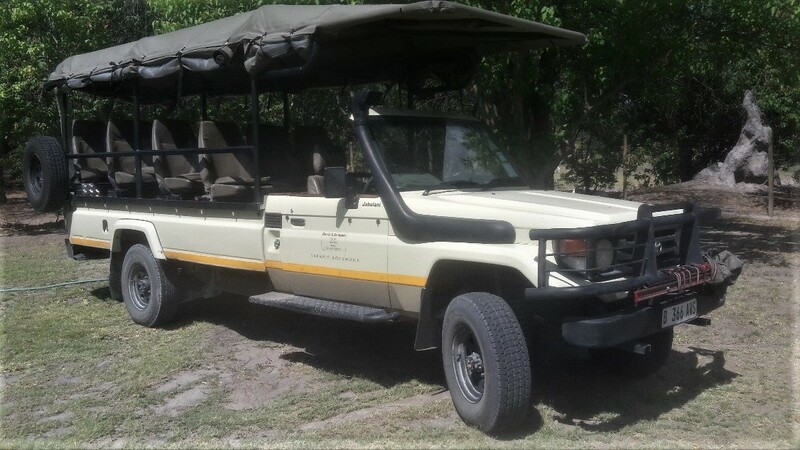 Jenman not only runs fantastic safaris throughout Africa but they also customize top of the range safari vehicles. We apply our years of expertise in the safari industry as well as customer feedback to to creating impressive innovations for our game drive vehicles. Recently we revamped our Botswana Land Cruisers, affectionately known as Jabulani - a Zulu word for rejoice. We chatted to Louis, our Fleet and Equipment manager about how the client experience will be improved on the new Bots cruisers which are used on the Botswana Lodge Explorer, Botswana Untouched, Botswana Wildlife Breakaway, Delta & Desert Discovery, Great Trans African Lodge Safari, and Intimate Botswana and Zimbabwe Encounter tours.